It certainly won’t be the most talked about Supreme Court decision handed down this week, but “Koontz v. St Johns River Water Management District” [PDF] will have a long-term impact on the ability of local governments to shape new development. The developer, Coy Koontz, wanted to fill more than three acres of Florida wetlands to build a shopping center. The water management district indicated it would grant Mr. Koontz a permit if he reduced the size of his development and agreed to spend some money on wetlands-restoration programs. Mr. Koontz refused, and successfully argued at the trial and appellate levels that the water district’s actions violated his private property rights. The Florida Supreme Court disagreed, but now the highest court in the land has ruled in favor of Koontz. Cities and towns across America routinely attach fees and other payment obligations to permits, for example, to support wetlands mitigation banks, to finance roads, to pay for new schools or to build affordable housing. The ruling creates a perverse incentive for municipal governments to reject applications from developers rather than attempt to negotiate project designs that might advance both public and private goals. Koontz received legal support from groups like the Cato Institute and the Institute for Justice, a nonprofit legal group that seeks to roll back government’s ability to influence land use. Both groups are funded by the Koch Family Foundation, the giving arm of infamous fossil fuel billionaires and far-right wing benefactors Charles and David Koch. Alex Dodds, a spokesperson for Smart Growth America, said the decision is a setback for public involvement in the planning process. “The biggest potential casualty are the opinions of residents: It’ll be much, much tougher now to incorporate community feedback into the formal approval process,” she said. But she said communities can avoid problems by being prepared. “The silver lining, hopefully, is that towns and cities will take this as an opportunity to clarify their zoning laws and better define what types of development they do want to see,” Dodds said. Thanks for covering this important and dismal decision. The opinion treats Koontz’s plan to destroy protected wetlands as a constitutional right, even though it was illegal under Florida wetlands protection legislation. The water district determined that the development would have been harmful to water resources. Accordingly, they made several suggestions to Koontz as to how he could avoid the problem–by re-arranging his site plan or providing for off-site remediation, which would bring him into compliance with the law. According to the majority, “Even if [the water management district] would have been entirely within its rights in denying the permit …, that greater authority does not imply a lesser power to condition permit approval on [Koontz’s] forfeiture of his constitutional rights.” The constitutional right to use your own as to injure another’s property? Or is it the constitutional right not to receive guidance on how to comply with the law from a reviewing agency? Thats assuming that impact fees encourage smart growth. Is there any evidence to support that? In many cases, they discourage building densely. Im aware that some places have changed the fees to avoid this outcome and discourage sprawl, but how common is that? In most older central cities, on the other hand, builders can generally construct new buildings as of right in compliance with zoning without any “impact fees” at all. The Supreme Court seems to thing that developers should be allowed to build on virgin land, and existing taxpayers should have to cover all the added costs needed to service and offset the impacts of that development. That’s the way it was in the 1950s and 1960s, with the cities drained financially to pay for it. But I don’t think federal spending to support suburban sprawl is going to be going up. Perhaps the applications should be rejected, and developers should build in areas that were already developed. I honestly think that’s what will happen as a result of this ruling. With no impact fees attached to new building permits, the developers may get permission to build. However, the locality won’t have the money to build infrastructure to support the new development. Without that infrastructure, the development will be economically useless. Once a few developers buy virgin land, then find they can’t get municipalities to bankroll roads or other needed infrastructure, making the land effectively worthless, you’ll see developers flocking to already built up areas. The cities no longer have the money to bankroll another round of suburban sprawl. Those days are over. This holding does not end impact fees. They would have to be roughly proportional to the externalities imposed by the development. And, as Kagan points out in dissent, impact fees might not be subject to the requirement if they are imposed generally on new development rather than attached specifically to a project. I know no more about this case and ruling than I’ve read here. However, this doesn’t really sound like a bad thing. As I read it, it just says communities must set the rules up front via laws and not have local politicians negotiate every development deal on a ad hoc basis. To me that should like a profoundly good thing, such casy by case handling is a corruption magnet. 99.9% of building should be as-of-right. The only exceptions should be things like airports, suspension bridges, or other truly extra-ordinary developments. If the as-of-right rules are too restrictive for anything to be built then either there should be no development (i.e. grandfathered communities inside a park), or the as-of-right rules should be changed. likely outcome of Koontz will not be more (or less) leniency in land use, but rather a more consistent application of local regulations and less negotiation with applicants on a case by case basis. Beyond your point about stemming corruption, this might also be a win for planning and community involvement in the development process. After all, if decisions must be made on the basis of a pre-defined plan and legal structure – and there’s less wiggle room to make individual exceptions behind closed doors – more attention will have to go into making sure this structure truly furthers the best interests of the community. This would also provide more consistency in expectations to both developers and citizens. I see the ruling on a different light. It is not actually a license to destroy wetlands (or a prohibition on it on the other hand). The core of this decision is to curb ad-hoc decisions made by many local governments, from small towns to the very biggest cities, in regard of development proposals, whereas developer cannot be really sure about whether their plans can be executed because the city officials will only give an answer to that after looking at the proposed project. I think this is a rather positive outcome: it will force municipalities of all sizes and shapes to have a much more fine-tuned discussion ex-ante about development rules, general impact fees that are pre-established based on actual impacts, and zoning. The public can give all input it wants to during this phase. Since these hypothetical discussions are not concerned with specific development proposals, the net result might be more consistent laws and a more expedite framework for developments that comply with the general planning and development ordinances. I welcome this as a positive change. For me, the biggest losers there are small, but histrionic, groups of organized citizens that, being not representative of the population, mount constant challenges to specific projects under the NIMBYs banner. It is much more difficult to argue, for instance, against “any and all medium-rise building on the whole city” and get them outlawed than is it to fight, on a piecemeal fashion, every single project lodged that would “create traffic and destroy the character of block xyz”. Impact fees are not disallowed. What is disallowed is this project-specific fee extraction that is common in many cities. Nothing precludes cities and towns from having general ordinances that require payments for needed infrastructure on new developments. 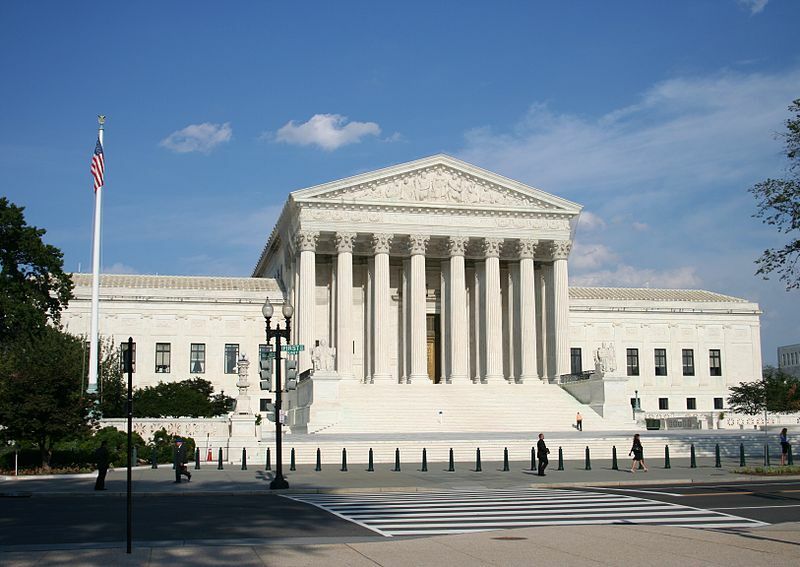 Sotomayor’s Eminent Domain Stance: What Does It Mean for Cities?